I was recently chatting with a great ministry friend about an upcoming transition for him into a new pastoral role. 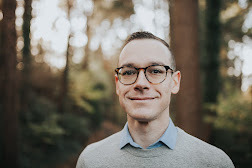 He's headed to a church where my wife and I are quite familiar with the church's history, and he found it fascinating and enlightening to hear the stories of leadership transitions and cultural dynamics of the church. I remember having similar conversations with leaders of my church, learning about the history behind programs and roles and values. I'm learning this truth both from a personal and leadership perspective. History matters. You see this in families as generational habits, health, and dysfunctions are passed down from grandparents to parents to children. Every individual person is a chronicle, a composition of events and encounters and experiences and moments in time, captured in memory. So it is with church systems. Every church system's history has shaped its present ethos, culture, habits, and practices. You and I recognize the impact a person's past has had on an individual, but often overlooked is the long-term impact of a organization's past, going beyond the immediately previous generation of leadership. Our connections to the past are long and deep, and institutions don't change easily. Roots can run deep, for good or ill. Organizations have personalities, too. Churches that maintain the same happily content pastors/leaders for 20+ years are plums. Churches that churn out (and burn out) leaders every few years (or months) are pills. Friedman claims that every church leader who stays around long enough in the area or denomination knows which churches are which. 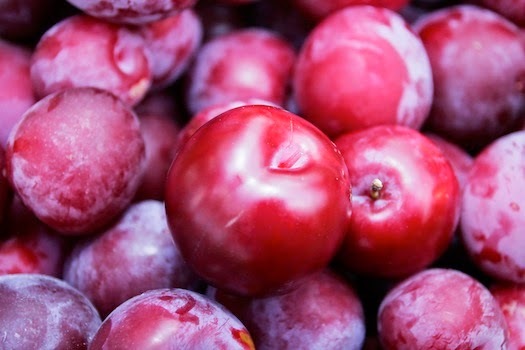 Plum means "a highly desireable attainment, accomplishment," something marvelous and first-class. Pill refers to something tedious or unpleasant, particularly a painful necessity. Friedman writes: "I know of no hierarchical executive (bishop, district supervisor, executive, placement coordinator) who has ever succeeded in changing a pill into a plum." He continues: "The leadership lesson for a new clergyperson or executive is that without well-differentiated leadership, the past dysfunctions of a 'pill' congregation can make a newly arrived leader ineffective as well." Whether serving at a plum or a pill, any new leader in an organization must grow in self-differentiation to have a deep sense of self in the midst of a swirling organizational history. Your successes and failures may have less to do with your own leadership capacity and more about the organizational history of your church system. If you're currently leading in a "pill" church, knowing where your identity begins and ends is vital to staying in long-term ministry, particularly when everything feels like an uphill battle. Ask the lead pastor, elder or deacon board chairman: what have been three significant positive moments in our church from the past 10 years? Three significant negative moments? Ask the person who formerly had your job: what was most life-giving and most life-draining about being in this role? Describe two or three stories that capture a snapshot of your experience in the role. Ask volunteers in your particular arena or department: if you describe our ministry as a human being, what characteristics, traits, and values would they have? Create a personification of our ministry. Ask two or three local ministry leaders outside of your church: describe your perception of [your church] in three words, positive or negative. Ask two or three local business/school/community leaders outside of your church: describe your perception of [your church] in three words, positive or negative. Do you know your church's history from the past 5-10 years? Are you aware of past leadership struggles and successes? Do you know the origin of prominent programs and sacred cows? What are the pills and plums in your context?